Photos courtesy of Dr. Hitzig and posted in the same sequence as they were provided to me. 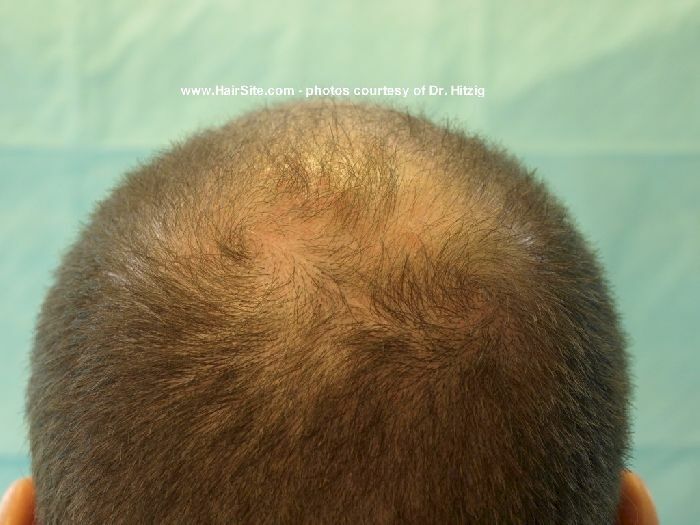 Per Dr. Hitzig: “Only compare rear half of scalp where there were no transplants, just ACell/Arterial PRP injections”. The major impression I have is that the transplant itself was not great and the density used for the frontal area was unnecessarily low. As far as the influence of Acell PRP. No comment. nevermind the Acell/PRP, I’m trying to figure out why this guy’s transplant does not look too good. Is it because the density up front is not high enough? Or is it because the transplant should have been a gradient where the density up front is higher and getting progressively less towards to crown in order to look natural? Can’t quite put my finger on it. By the way, what is this nonsense about the use of arterial blood. what artery do they stick a needle into? As far as i know the platelets in an artery are the same as platelets anywhere else. It is possible that the activation state differs in the first couple of ml but that is why the first ml is thrown away. These HT surgeons amaze me sometimes! You literally cannot tell, so the photos are essemtially useless. I guess Dr. Hitzig wants us to guess which is Before and which is After? Doesn’t Dr. Hitzig want to at least tell us what we’re supposed to be looking for? Increased density? Compared to what? Clean healing of HT donor site? And I guess the PRP and ACell didn’t improve the frontal appearance of the HT, since no shots were shown of that? » first ml is thrown away. These HT surgeons amaze me sometimes! Fresh arterial blood is generally higher in platelets, oxygen, nutrients, etc., but I don’t think it matters much and I’m beginning to think this PRP thing is a big gimmick. It doesn’t matter because in order for this to really benefit your HT, your scalp would have to be injected daily for months with arterial blood, not just at one sitting at a doctor’s appointment. » » first ml is thrown away. These HT surgeons amaze me sometimes! Here is he thing, PRP is just the platelets. There is no difference in oxygen as there are no red blood cells. There is no difference in nutrients either. Arteries and veins are all part of the same system. the haemoglobin in red blood cells is just depleted in oxygen and since there are no red blood cells in PRP the idea of arterial PRP is not a gimmick it is utter nonsense!!! and should embarrass the doctor who is using it. I agree… its been shown on multiple occasions now that PRP is not very effective. Looks like a dead end to me. » » » By the way, what is this nonsense about the use of arterial blood. » » » first ml is thrown away. These HT surgeons amaze me sometimes! » effective. Looks like a dead end to me. 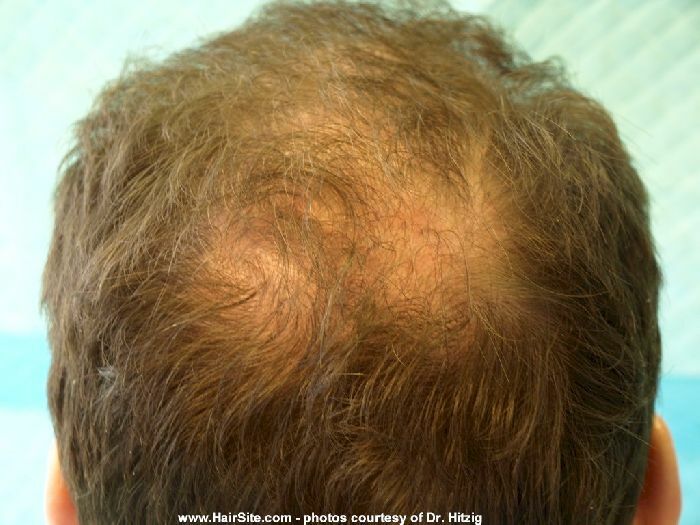 The earlier photos of PRP + Acell injection (without a hair transplant) looked better than these newer photos. 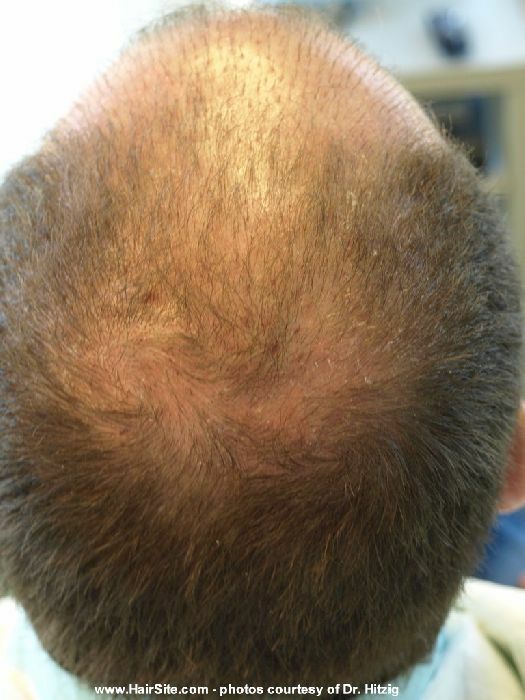 In the previous set of photos the patients clearly regrew hair, but in this latest round of photos it looks like the patient actually lost hair in the crown, which is where the Acell + PRP was injected. 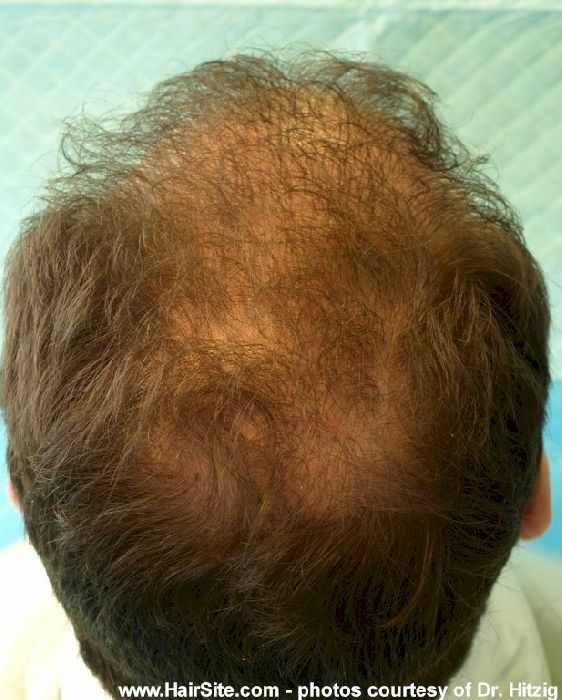 Ah well, let’s now move our attention to finding out how the allergan (Latisse for scalp hair) bimatoprost safety study is going. It was supposed to conclude in February, and February has come and gone so the safety study is done. Also, we should also now focus on this astressin - b stuff. » does not look too good. Maybe because it’s being done in sessions and it’s not finished yet: additional sessions of tranplants placed between the earlier ones until best possible density is achieved. Like the best way to paint wood: you apply light coats, let each coat dry to see what you got, and then apply additional coats until it’s done. » the HT, since no shots were shown of that? Common, act as scientist when you post photos Doctor, will you ?